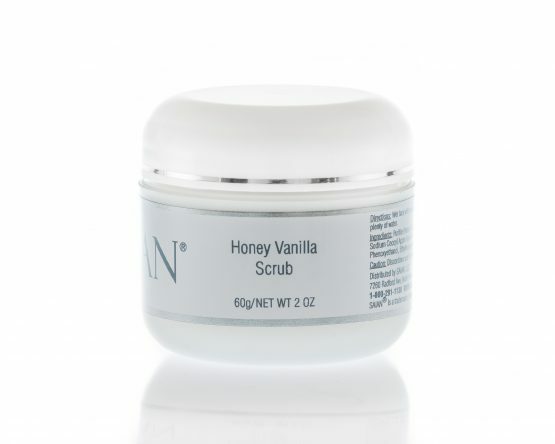 SAIAN Honey Vanilla Scrub is a light and natural exfoliator which refreshes and renews the skin with the power of amber! Honey Vanilla Scrub does not contain parabens, heavy oils or fragrance, and has tiny grains of natural amber, which gently slough away dead skin cells, decongest, and brighten the complexion. Makes my skin so smooth. I love the smell. I use it on my elbows too.